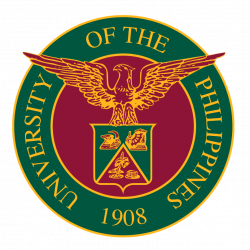 UP has enhanced its hospitalization benefits for UP personnel effective Jan. 1, 2017. This came about with the approval by the UP Board of Regents (BOR) of the Enhanced Hospitalization Programme (eHOPE) for the Faculty, REPS and Administrative Staff at its 1322nd meeting on Nov. 24, 2016. A highlight of the eHOPE is the PhP 80,000 yearly financial assistance for hospitalization expenses incurred during confinement. This constitutes an enhanced amount from the PhP200,000 lifetime coverage under the Financial Assistance Program for Hospitalization Expenses (FAPHE) that UP personnel used to enjoy. 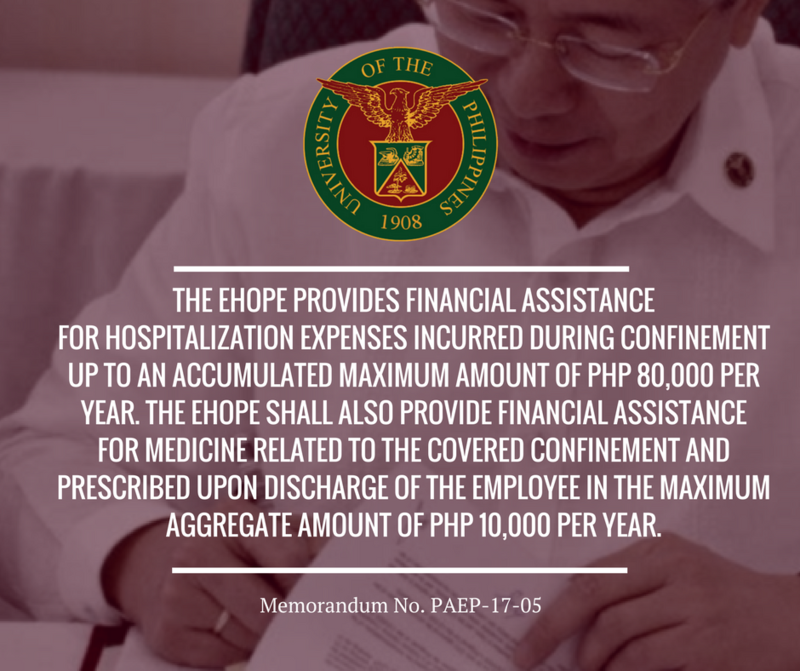 eHOPE shall also provide a PhP 10,000 annual financial assistance for medicines prescribed during confinement and upon discharge of the UP employee. eHOPE will cover the following hospitalization expenses incurred during confinement: a) Medical I diagnostic procedures such as ultrasound, MRI, X-ray, CT scan, biopsy, mammography, echocardiography, angiogram, blood chemistry, and other laboratory examinations; b) Prescribed drugs and medicines in accordance with the Generics Act of 1988 (RA6675); c) Professional fees of Philhealth-accredited physicians and specialists up to amounts based on the Relative Value Unit (RVU) set by Philhealth for specific medical cases; and d) Expenses for room and board for the duration of the confinement. Excluded from the coverage of eHOPE are hospitalization expenses for cosmetic-related surgery confinement and self-inflicted injury and illness. The annual medical and physical examination for eligible employees are covered by the specific Constituent Unit policies.